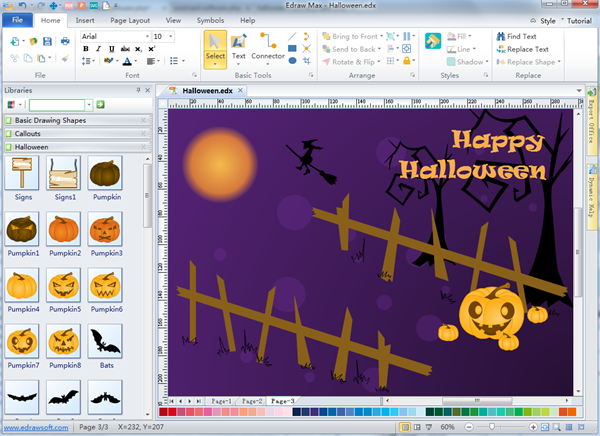 Halloween card software is a wonderful diagramming tool to design Halloween cards. 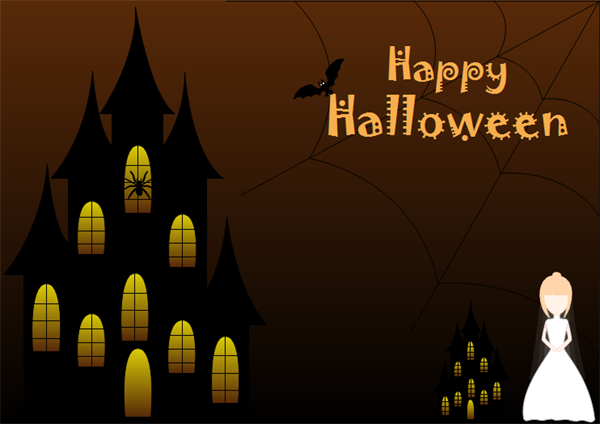 Halloween card software provides you many Halloween card templates and examples. Halloween card software enables you to quickly make Halloween cards for your friends and family. If you want to send your family and friends special self-made Halloween cards to show your creative ideas and true heart, you definitely need this Halloween card software to make Halloween cards on your own. Come and act now to download the Halloween card software and show us the Halloween cards you make yourself. 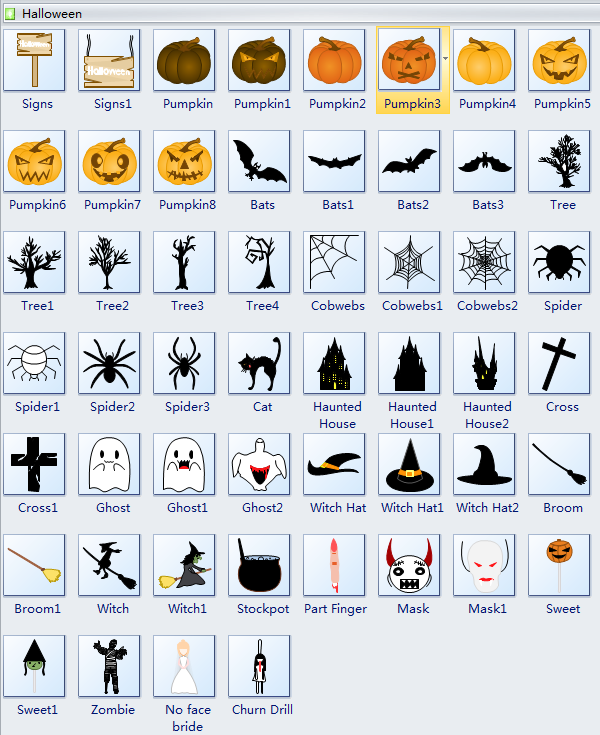 Halloween card software includes many drawing shapes and Halloween symbols to facilitate your drawing of Halloween cards. Moreover, Halloween card software has many Halloween card templates from which you can get inspired for your own designs. We highly expect you to share your awesome Halloween card designs with us! Click here to free download Halloween card software. You can use the built-in templates to create and present your own Halloween cards in minutes. Halloween card software includes many useful Halloween elements which will be of great help when you draw Halloween cards for your family and friends. Your self-made Halloween cards will represent your best wishes for them. Halloween card symbols like pumpkins, bats, spiders, ghosts, masks, etc., are available here. See more symbols at the below Halloween card symbols picture. "I am hoping you have a great Halloween. Stay safe." The sweetest thing I know of this Halloween isn't the candy, it's you! "Halloween is a great time to dress up and have a little fun. Happy Halloween." I hope your Halloween is all treats and no tricks...enjoy the candy and festivities! "Wishing you a great fall season. Stay warm and cozy." "Have a spooky time on Halloween. Don't get too scared though. Happy Halloween." "Eat lots of candy this Halloween. Have a blast getting scared." "Have fun dressing up, getting candy, and getting scared. Wishing you a fun Halloween. " Happy Halloween to you...Hope it is a "spook" tacular one! All Hallow's Eve has arrived! I'm not scared on Halloween, because I know I have you to make me smile.